Don Broco will embark on their biggest UK tour to date in 2019. The alt-rock quartet will play huge shows in Manchester, Plymouth, Cardiff, Edinburgh, Nottingham and Wembley in February 2019. Neck Deep and Issues will support Don Broco during their UK tour. 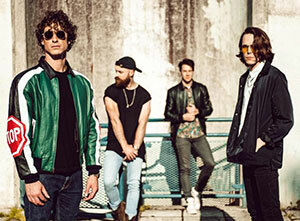 How to buy Don Broco tickets? Tickets for Don Broco's UK tour dates went on general sale on Friday 15th June, priced from £22.50 plus booking fees, at Ticketmaster.co.uk.